* The NLT has a great translation of this verse. 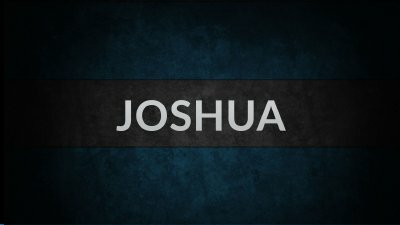 * "That day the Lord made Joshua a great leader in the eyes of all the Israelites, and for the rest of his life they revered him as much as they had revered Moses." * Joshua had proven a faithful servant, then a faithful commander, now a faithful leader of the nation. * This paved the way for God to do something miraculous for him. * Two things every person will require if they want to be a leader: * 1) Faithfulness - be faithful right where God has placed you, in all the little things. * 2) Favor - God’s favor. * Joshua couldn’t have parted the Jordan - only God could have done that.